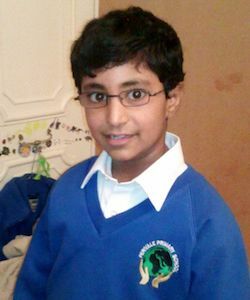 Last week an inquest opened on the case of a 13-year-old boy with a severe allergy to dairy products who died in a London school playground after allegedly having cheese put down his shirt. People were sharing the story on Twitter and saying “they killed him” and accusing the other children (allegedly) involved of murder. I pointed out that whether it was murder would depend on whether they intended to cause him serious harm and whether they knew about his allergy at all or whether it could cause such serious harm especially from mere skin contact (as opposed to ingesting the foods concerned). As a result of this I was deluged with tweets from people telling me that everyone will have known about his allergy, that it was at the very least manslaughter but that they probably did it deliberately because children are cruel to each other. I (and the lady who retweeted the story into my timeline) got a two-day flood of mentions and notifications as people all around the world reacted to the story. The situation reminded me of an earlier case in which a young man, Steven Simpson, was doused with tanning oil and set alight by a group of ‘friends’ who also wrote anti-gay insults on his body at his 18th birthday party, resulting in his death. Simpson had what used to be called Asperger’s syndrome as well as a speech impediment and epilepsy. The man who poured the oil and lit the match, Jordan Sheard, got 3 1/2 years in prison for manslaughter. At the time, I wrote an open letter and asked others to sign it, and sent it to the then attorney general, Dominic Grieve, asking him to appeal his sentence as it seemed appallingly lenient given that they had poured an accelerant on his body and set him alight, causing him a prolonged and painful death. It appeared to me to be a classic case of “mate crime” in which a person with learning difficulties is subjected to cruelty by people they mistake for friends and continue to endure it either because they are unable to distinguish this behaviour from genuine affection or because they are so desperate for friendship that they prefer the friendship of abusers to that of nobody. I reminded Dr Grieve that causing someone grievous bodily harm resulting in death was murder, and that surely pouring what one believes to be an accelerant onto someone and then setting it alight constitutes causing GBH. However, Sheard’s sentence was not increased on appeal (see ruling in PDF format here). This case is slightly different as both the victim, Karanbir Cheema (Karan), and the alleged assailants are children — we do not know what age they are because all we have is a paramedic’s word based on what unnamed school staff told him. We do not know how many there were or what was said. We do not know what exactly they knew about Karan’s allergy or how severely or how easily it could affect him. Most adults are aware nowadays that eating something you are allergic to could kill them, but not everyone is so aware that contact between the skin and a solid allergen could have the same effect. We do not know why they were chasing him or why they had the cheese in their hands (perhaps it was just their lunch). What criminal offence the other children involved are guilty of, if any, depends on how much they knew and what they intended; if they knew their actions could cause a severe and potentially fatal allergic reaction and did so deliberately, it could be murder. If they thought it could just bring him out in a bit of a rash, it’s likely to be manslaughter. But I’m not going to sit in judgement on a group of teenagers and call them murderers without knowing the full facts, which we are likely to once the full inquest and police investigation have taken place. It’s sad how many people are willing to do this in response to a report about a situation they know nothing about, early on in an investigation. Previous story Who gets believed?